100 years ago today, Deere & Company entered the tractor business. The biggest success story in the agricultural machinery industry started with the Waterloo Boy in the Midwest of the United States. Today John Deere is the world’s leading manufacturer of agricultural tractors, and the company produces ?intelligent’ tractors in 12 factories worldwide. 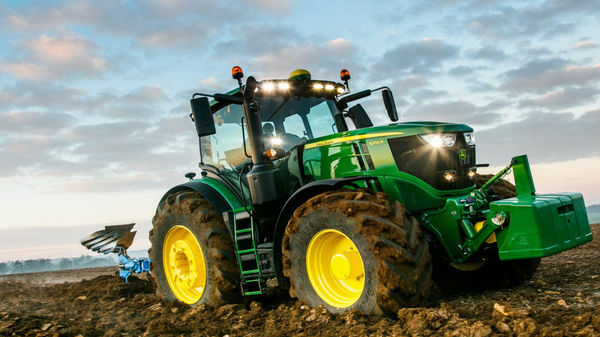 Today, the tractor is no longer just for pulling implements – instead, agricultural tractors, machines and implements can be effectively connected. For example, tractor implement automation enables a baler to ?talk’ to the tractor for automatic adjustment of functions such as forward speed, depending on the workload. The story of John Deere’s 100 years of success and innovation, from the Waterloo Boy to today’s ?intelligent’ tractor, is being celebrated at the company’s worldwide tractor factories. Employees, their families and other guests have been invited to look behind the scenes of John Deere tractor production, and the Mannheim factory is holding a tractor parade through the city.